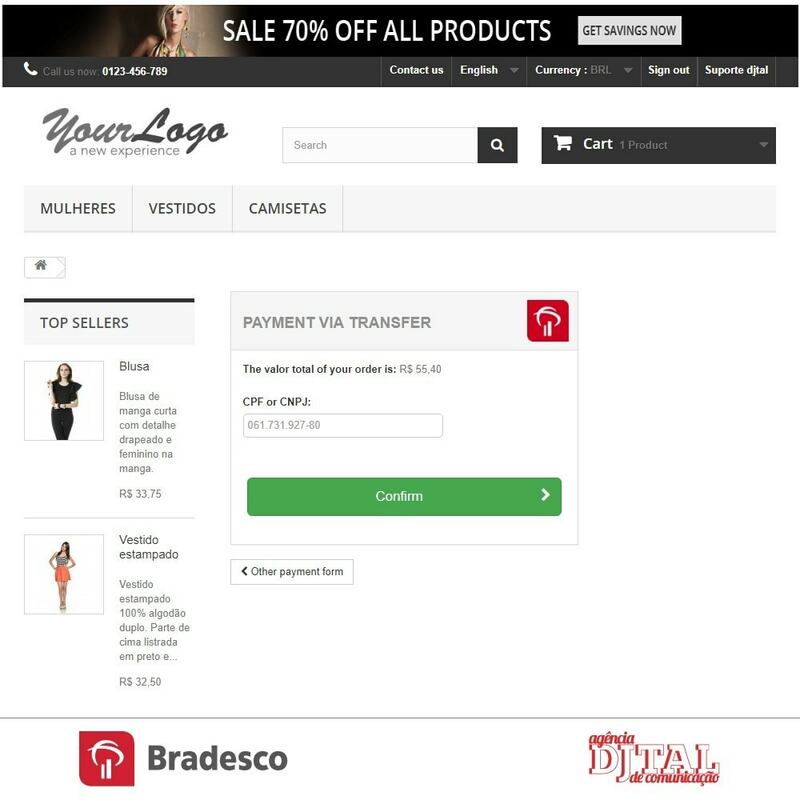 SPS Bradesco is an online payment module that facilitates the online sales process by making online sales faster and safer. 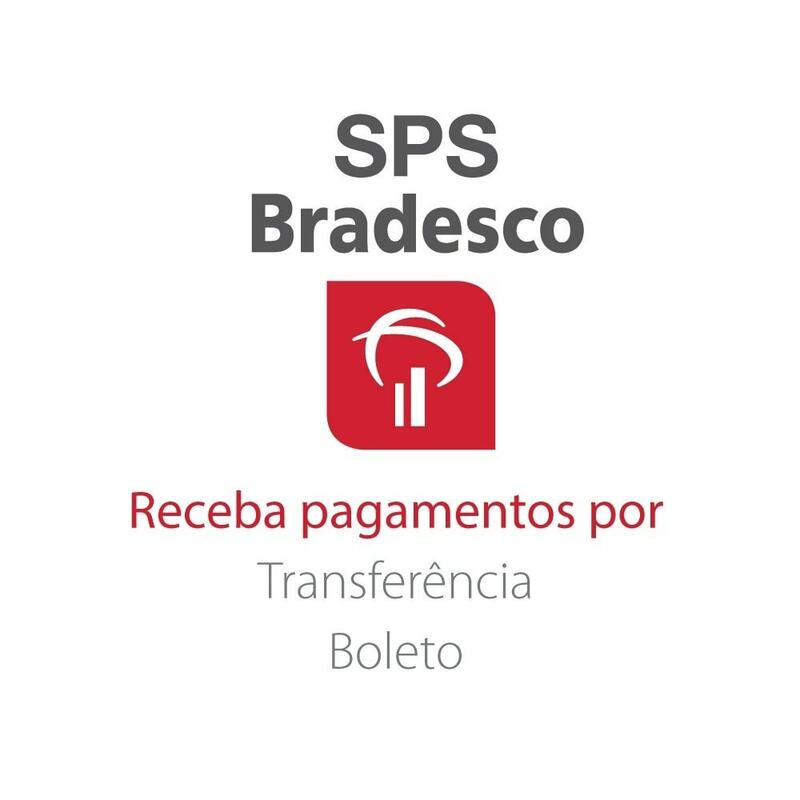 The service allows payments through Ticket and Online transfer with direct integration with SPS Bradesco. 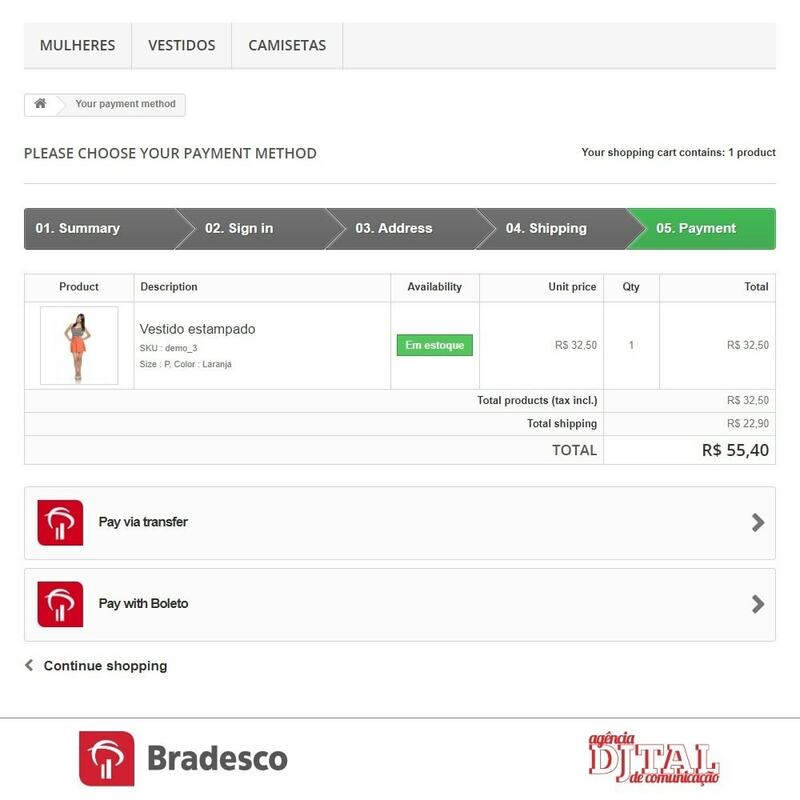 Bradesco Banking Ticket for the consumer to print and pay. Payment can be made at any bank branch, through home / Internet Banking or any lottery until expiration date. Security for Sellers: The information that goes through the network between your site and the bank is all encrypted. Security for your customers: payment transactions and ticket generation are all carried out in a secure environment. Practical choice: your payment options serve all your customers, even if they do not have a Bradesco account or do not have a bank account. 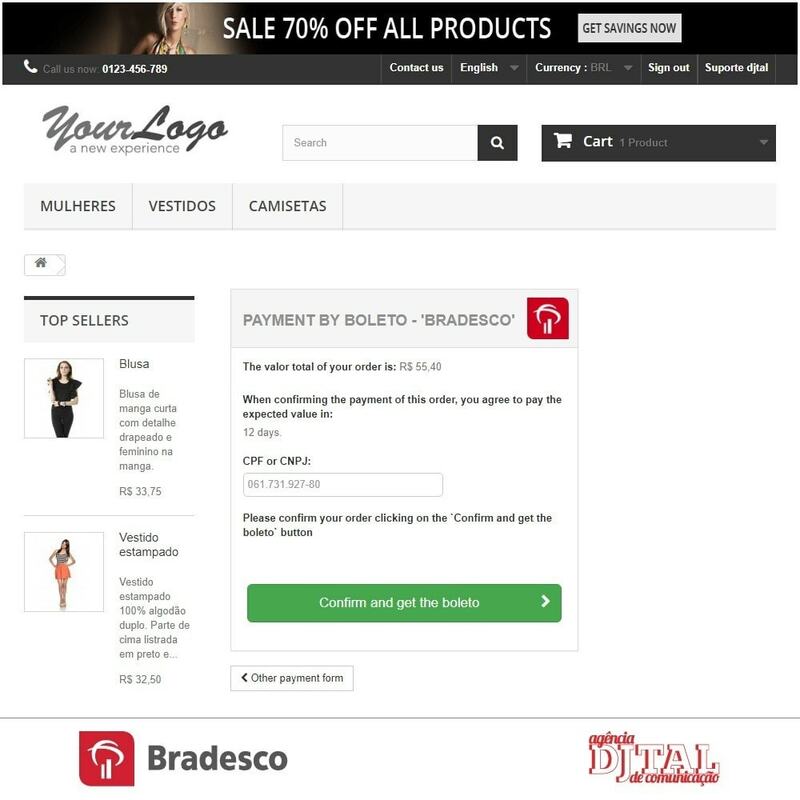 Total control of your sales: the Bradesco SPS Module provides a complete consultation of the operations carried out at SPS Bradesco. 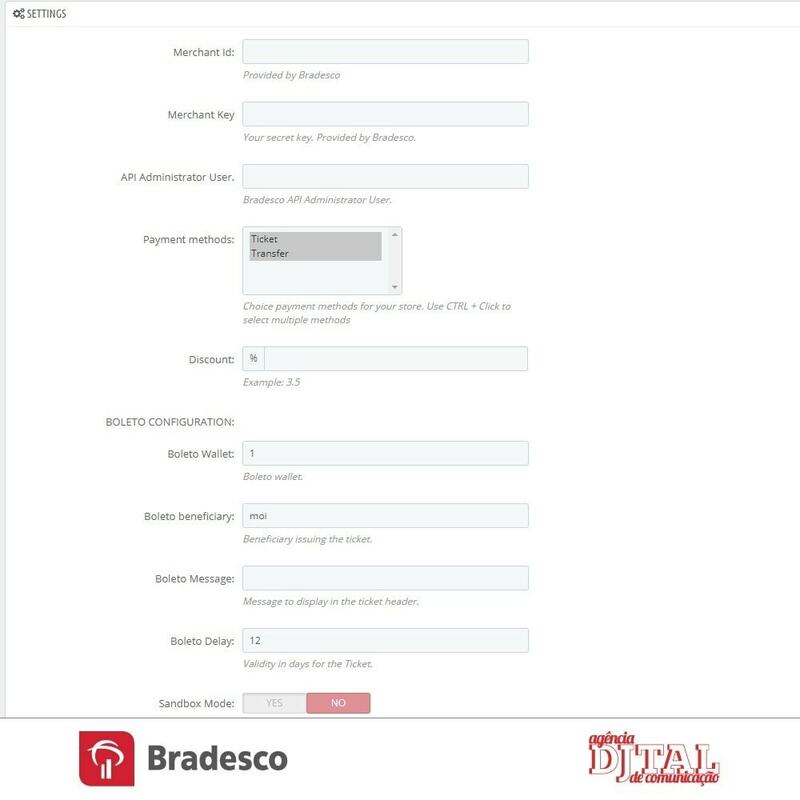 SPS Bradesco offers customers a secure payment method and practices the entire transaction between site and the bank are encrypted giving the customer total security. The client has practicality in choosing the payment, choosing between billet and transfer between Bradesco accounts.